Bizzy Hands: The back is done!!! Pictures of the next phase. Assembling the rest of the back. 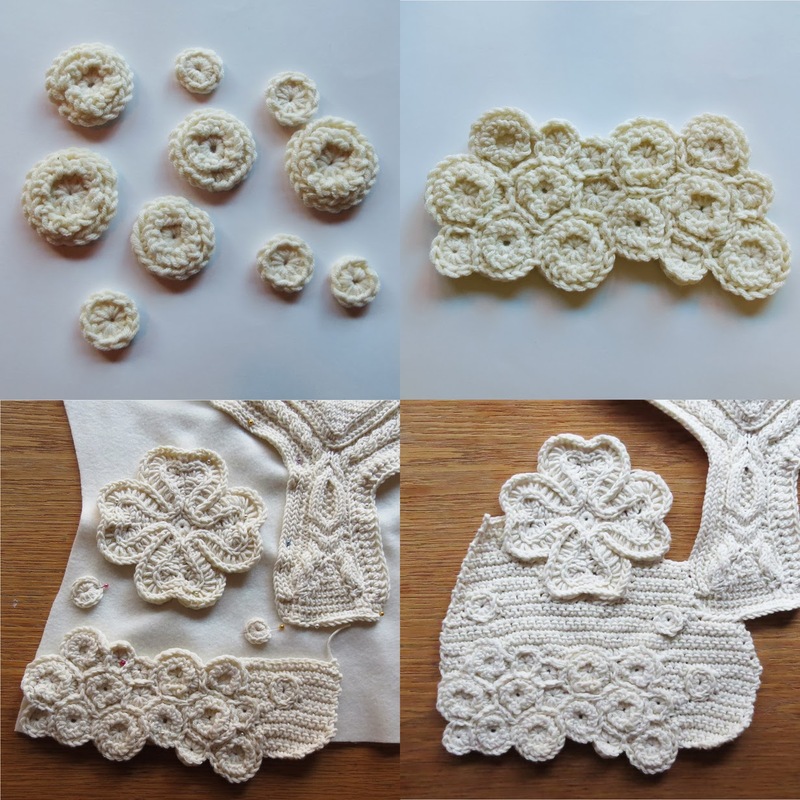 Top left: an adapted version of Catharine's Wheel stitch, the special elevated effect is because i used backpost double crochet. Top right: a double seed stitch. Bottom left: umbrella shells. They can be found on: http://www.learntocrochetcalgary.ca/articles/CYCA-16-Crochet.htm. 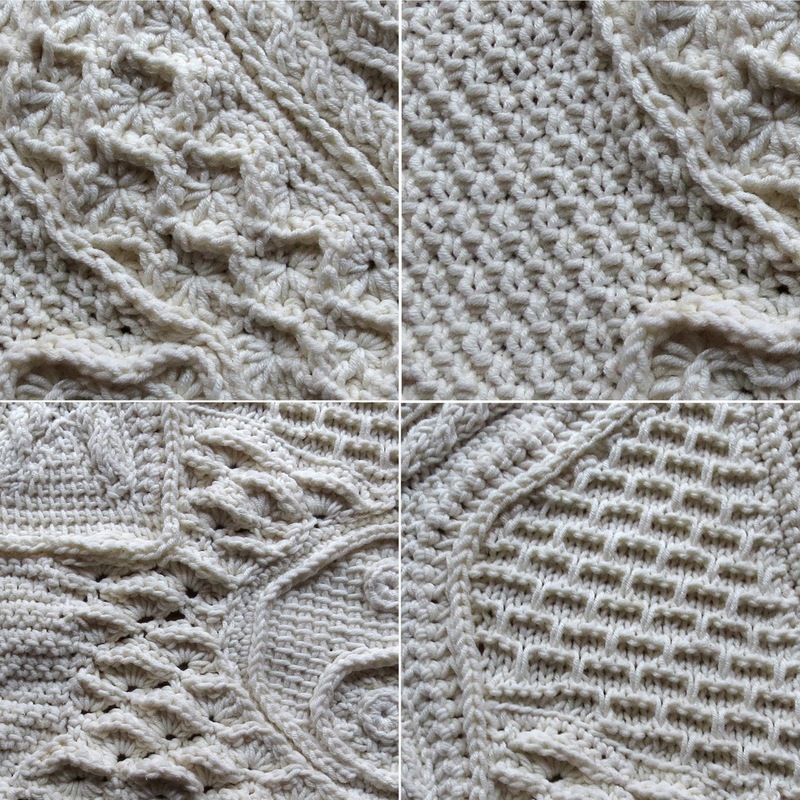 Bottom right: brick stitch. 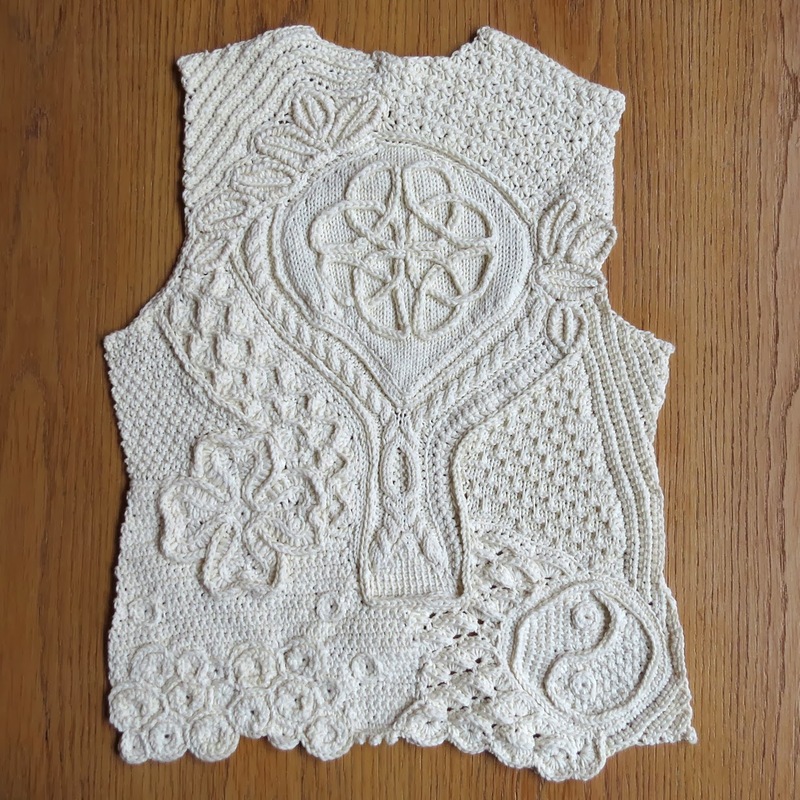 This stitch is from Vogue Knitting, page 123.